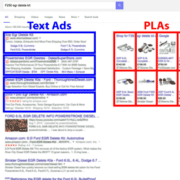 Google Product Listing Ads (PLAs) can help increase your online sales of auto parts and accessories this holiday season and we’ll tell you why and how to advertise on Google using PLAs. They make your online paid search/pay per click (PPC) campaigns more cost effective. The holidays —­­­­­ the time of the year when online shopping booms and customers seem to spend endless dollars buying more and more products online. But are the customers spending those dollars buying your products? Are they even finding your products online? Here are Google Product Listing Ad methods and strategies to help your business stay ahead of the game, and give you the ultimate holiday gift of higher sales. Why Product Listing Ads (PLAs) for pay per click (PPC) campaigns? Google Product Listing Ads (PLAs) can appear either in the right column of Google’s search engine results page (SERP) or in the main column beneath the paid ads. Why is it so important to prepare your online business for the holidays you ask? Well, online sales leading up to the holidays (generally during late November and early December) are at their peak during this time of year. Sales during this time have been rising each year (we reported online shopping days here). Clearly, this time of the year is when customers are shopping so this is the time of year is when you should be attracting customers to your website. 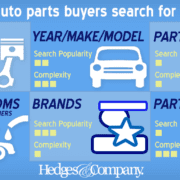 In the automotive aftermarket this selling season is greatly underutilized. One key to increasing your online holiday sales is using Google Product Listing Ads (PLAs). PLAs are highly visible listings that can take up a lot of space on the Search Engine Results Page (SERP) and help drive customers to your website. They include a short product description, thumbnail photo and price. In the past, it used to be about getting your website to the #1 position on the page, nowadays it’s about real estate. The more space you take up on the SERP, whether it’s for organic search engine optimization (SEO) or pay per click (PPC) marketing, the more likely you are to get more click-throughs than your competitors (we first discussed SERP real estate a year ago with our predictions for Google SEO and PPC and more recently updated with our Google SEO predictions for 2014). Google PLAs are seasonal, and have been showing steadily increasing click-through rates with peaks in the summer and December. We’re projecting click-through rates for PLAs to continue to rise this December. See the graph at the right where our projected click-through rates are shown with a dashed line. PLAs are fed from data in your Google Merchant Center account and set up and managed through your Google AdWords account. PLAs will appear on the SERP based on the product a person is searching for (and of course, your bid). There are standard built-in Google attributes that appear in your Merchant Center account feed, such as brand name, or you can set up custom attributes. id: An identifier, like a part number, for each product fed through your Merchant Center account. title: The product’s description, up to 70 characters. google_product_category: The product category, as defined by Google. Example: Vehicles & Parts > Vehicle Parts & Accessories > Motor Vehicle Parts > Air Intake Parts > Vehicle Air Manifolds. We usually don’t call them “vehicle air manifolds” but that’s the correct Google definition for PLAs. brand: The product’s brand, specified in your Merchant Center account. Example: Edelbrock. product_type: The product’s category, as defined by your company. Example: intake manifold. condition: The condition of the product you’re selling. Examples: new or used. adwords_grouping: A custom-defined grouping of products. This attribute must have only one value per product. You can create custom groupings, such as grouping the products by function, by manufacturer, by year, by model, and so on. adwords_labels: Similar to adwords_grouping, but you can add up to 10 values and you can group products in two different groups. Examples: intake manifolds grouped by the manufacturer’s product marketing name (Performer Intake Manifold). There’s much more detail to setting up Product Listing Ads than would fit into this article. There are more attributes, plus you need to set up product filters and bid strategies, so for more information we suggest you read through Google’s documentation or just give us a call. 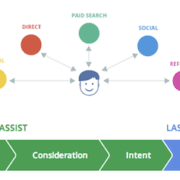 PLAs are a good way to increase the cost-effectiveness of your PPC campaigns in conjunction with your search engine optimization (SEO) campaigns. One strategy we’ve had some success with is grouping low-dollar products in separate PLA campaigns with low bid amounts. An example of this would be grouping all products that sell for less than $40, and testing low bids of 10 cents or 20 cents per click. Be sure to monitor your PLAs and your Merchant Center Account product feed when starting out. 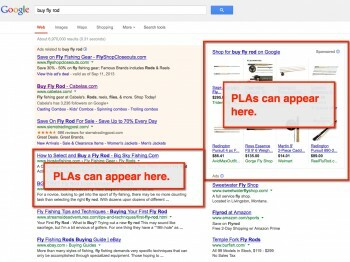 The success of PLAs depends a lot on the quality of the product data that you feed into the Google Merchant Center. You want your product descriptions to be fresh, accurate, and in compliance with Google’s strict data requirements. Make sure your price and product details on your website match what is in your Merchant Center product feed. PLAs are mostly image-based so if you can, provide a unique image that would stand out among competitors using the same picture. Testing is the key to long-term success with PLAs. The earlier you start testing, the sooner you will be able to understand what will work when the busy holiday season rolls around. If you need help getting started, give us a call at Hedges & Company and we can provide an analysis of your digital marketing and put you on a path to success. If you are looking to upgrade your website and maximize your customers’ shopping experience, contact our partners at Web Shop Manager here. They’ve developed hundreds of automotive websites and can put a turnkey site together for you. One key to success with PLAs, due to Google’s strict data requirements, is clean, correctly-formatted product data fed into your Merchant Center. If you need help with automotive data covering hundreds of thousands of part numbers with year make model fitment information, give Direct Communications, Inc. (DCi) a call. Also, note that the Yahoo/Bing Network is beta testing their version of Google PLAs and it will be released soon. Wow.Great post.Thank you for sharing and providing details good for our research when putting together a great website.It will help me a lot on my business advertisement.